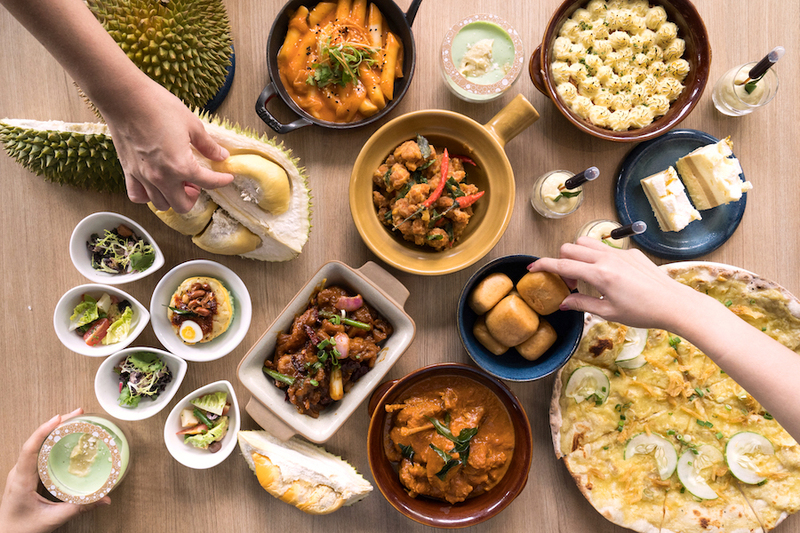 Truly a Durian Paradise, with all-you-can-eat durian dishes at one single restaurant. 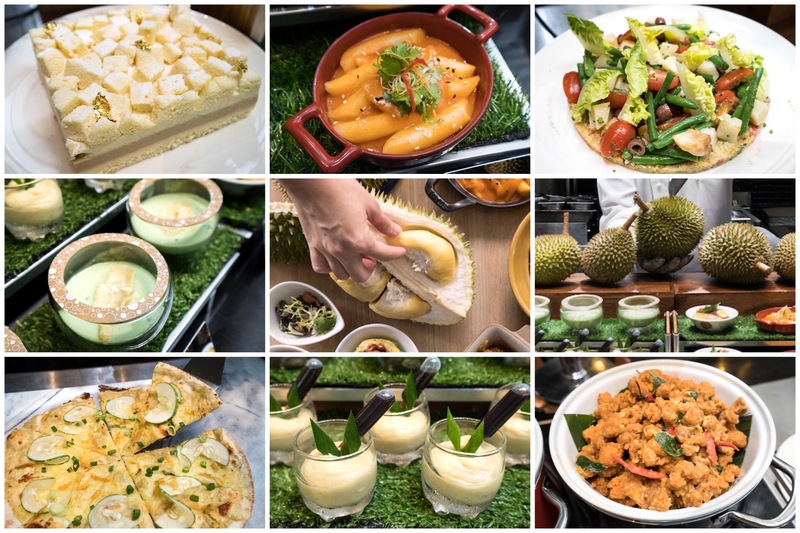 Back by popular demand, PARKROYAL on Pickering is bringing back their durian fiesta buffet, aptly named “Thorny Temptations” to Lime Restaurant. This only lasts for a limited period of 4 weeks, from 27 July (Friday) to 26 August (Sunday), during dinner time between 6.30pm and 10.30pm. 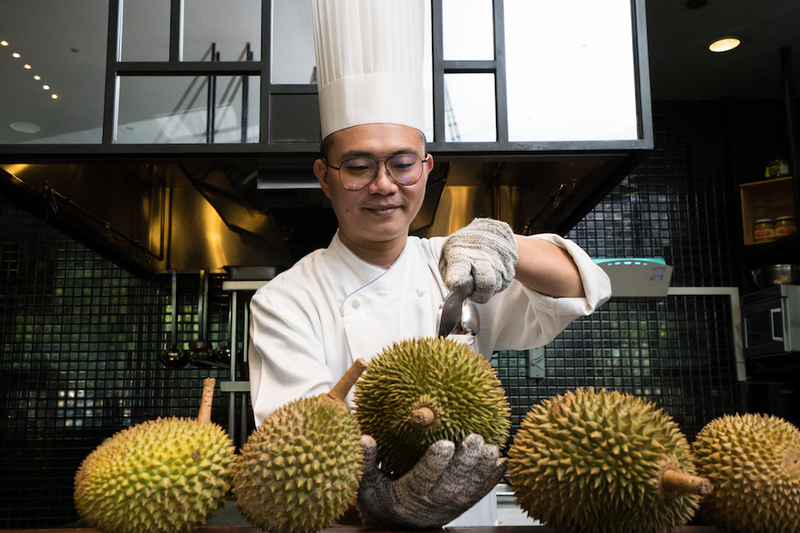 The kitchen team at PARKROYAL on Pickering’s Lime Restaurant helmed by Executive Chef Yap Wai Lunn, continues to expand their creativity with a more extensive selection of durian savouries. 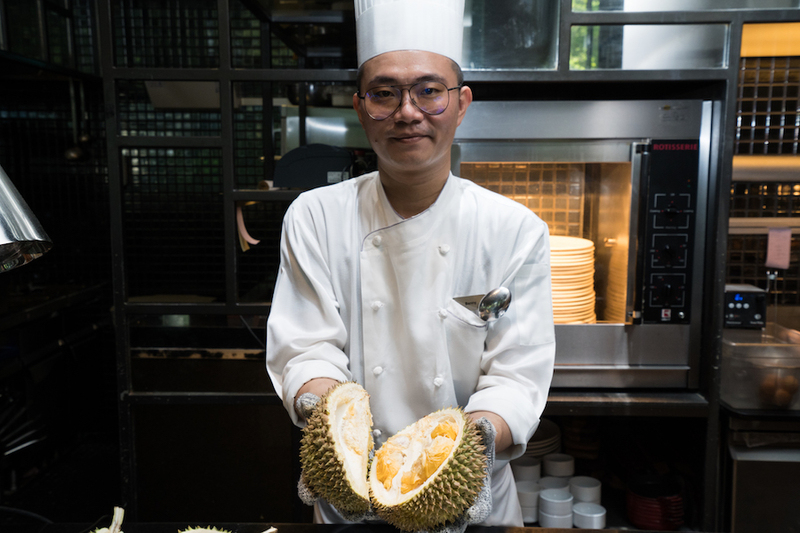 In a theme that leads nicely up to Singapore’s National Day, the dishes are locally inspired, some with South-East Asian flavours, incorporated with premium Mao Shan Wang (Musang King). 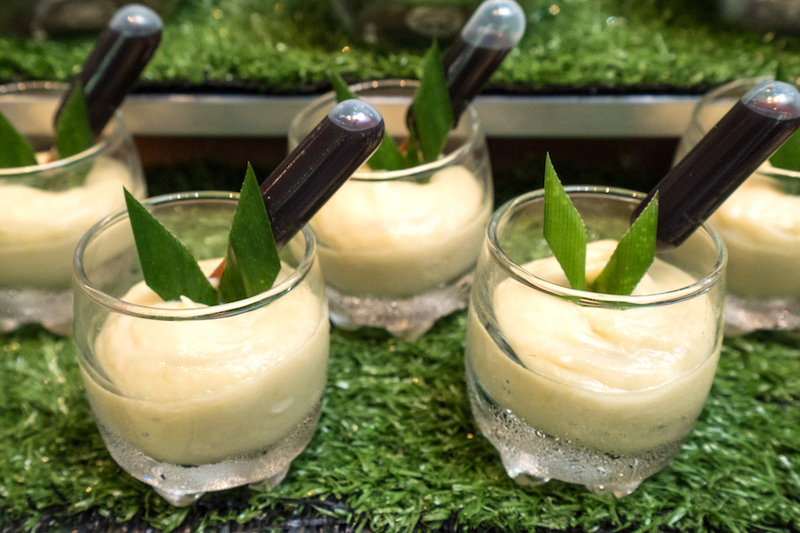 It is not just about the sweets such as Durian Pengat and Durian Cakes – you get to experience some creations that are spicy and savoury. Serious. 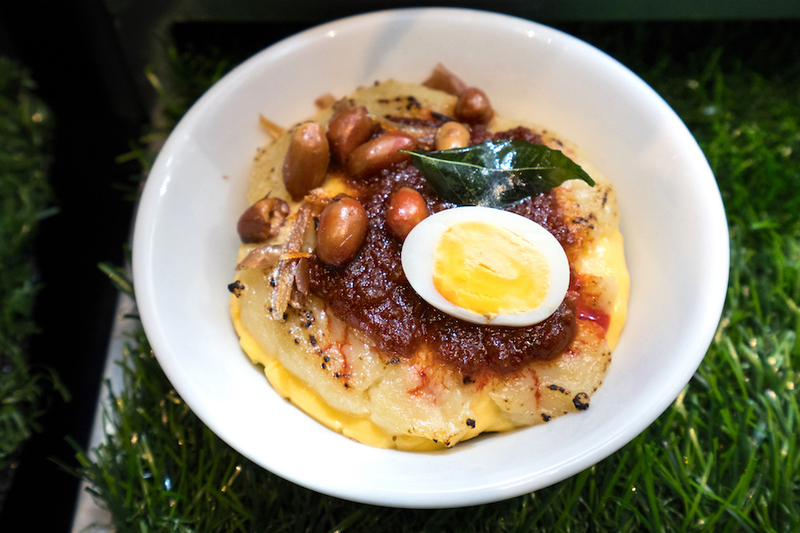 Do not bat an eyelid if you see dishes such as Baked Durian Nasi Lemak, Durian Curry Chicken, Salted Egg Popcorn Chicken to a Korean-inspired favourite of Spicy Durian Rice Cake. Step aside, Nasi Lemak Burger. While it is all in trend last year, the marriage between our local delight and the King of fruits sounds both fascinating and weird. To be honest, I was initially quite skeptical and found it hard to imagine what it would be like. 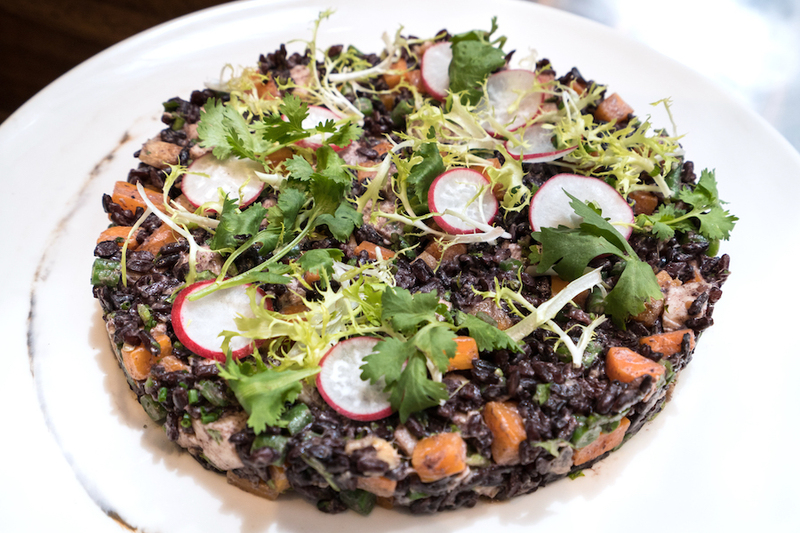 However, it surprisingly turned out to be the table’s favourite dish among all other new creations. You would taste the distinctive and aromatic sambal chilli on the first mouthful, coupled with fragrant coconut rice with saltiness and crunch from the fried ikan bills and peanuts. 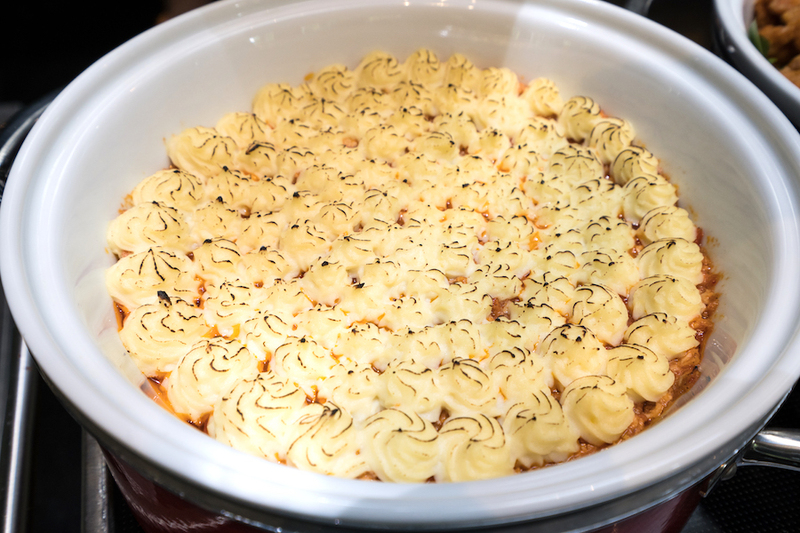 Topped with a layer of baked durian, that added more complexity to the dish with a layer of sweetness and creaminess, which helped balance out the spiciness. The one dish that I can finish eating an entire portion on my own. Annyeonghaseyo as I also wondered how this Singapore and Korea ‘love story’ would turn out to be. The fusion of durian with Korean rice cake (tteokbokki) sounds like a mis-match, like a Korean guy falling in love with a Singaporean girl who doesn’t understand the language at all. 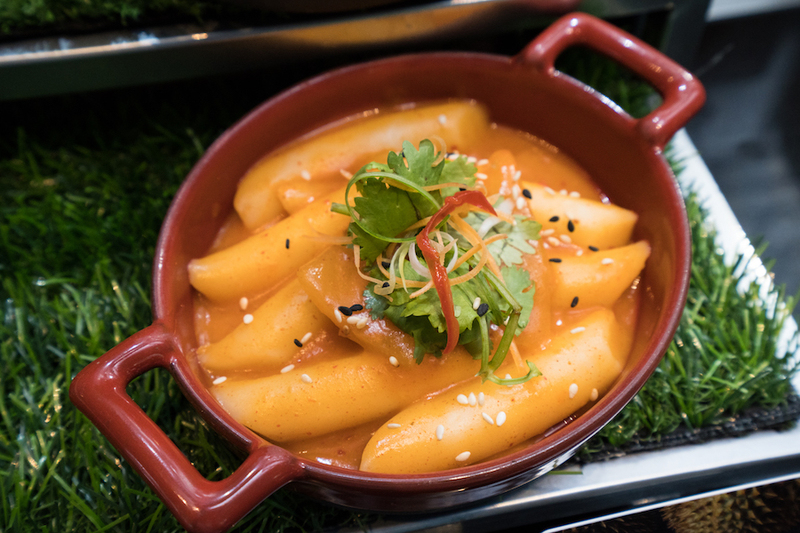 Traditionally, Korean rice cake is stir-fried in gochujang sauce, resulting in hot and spicy flavours. Upon incorporating Mao Shan Wang durian in it, the sauce turned out to be creamier, aromatic (or pungent as some may say) with slight sweetness in it. 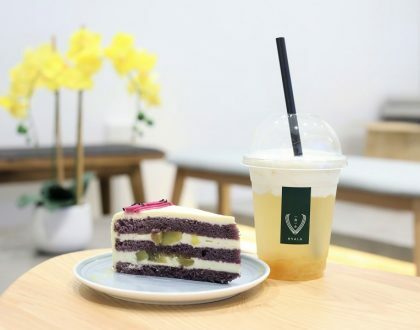 The enjoyment kicked in after you overcome the barrier, you could be enticed by the lingering fragrance and interesting texture that would make you go, ”Chuwahaeyo”! 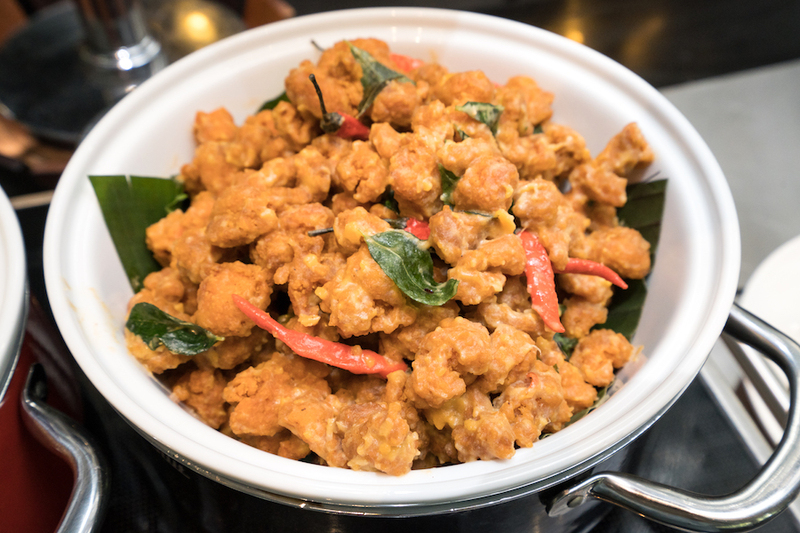 It can be difficult to resist the temptation of deep fried popcorn chicken, soaked in salted egg batter with chili padi and curry leaves. Trust me, once you start popping in these crunchy, bite-sized popcorn chicken into your mouth, it is hard to stop. 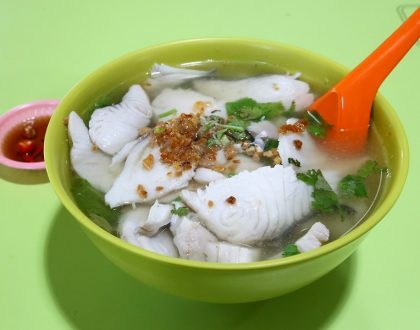 This Chinese tze-char style dish turned out to be sweet and creamy with Mao Shan Wang incorporated, with grainy texture on the surface as only real salted egg was used. 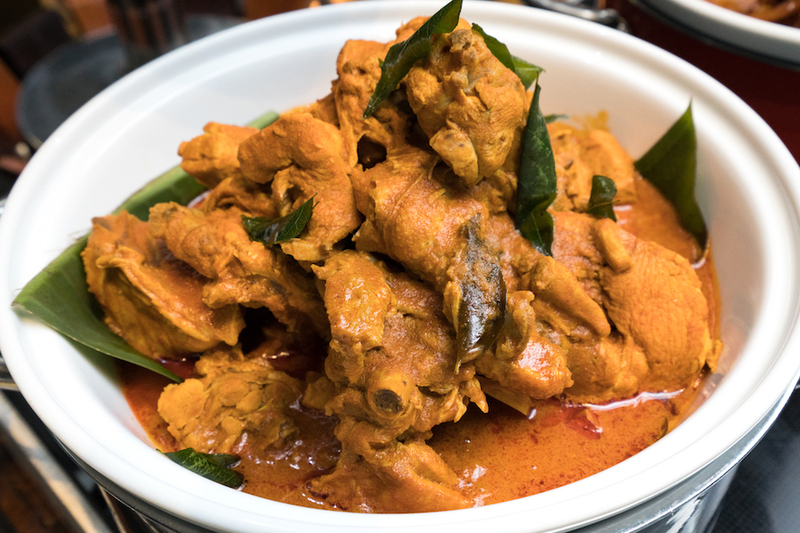 When Curry is mixed with Durian, a potent and “heaty” dish, bursting with flavours come into mind. The combination did sound a bit unbelievable, but surprisingly, the spicy gravy went quite well with durian, which gave it a subtle sweetness and extra creaminess in texture. The balance was also just right, without one flavour overpowering the other. With fried mantou offered as its sides, dip it in like what you would usually do with Chili crab, and wipe the gravy clean. 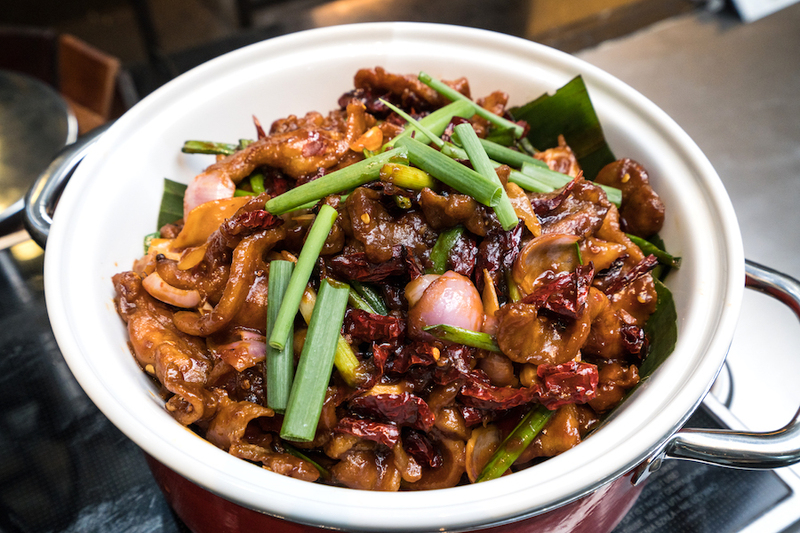 This is one dish with minimal level of spiciness – the Kung Pao Pork Belly came with some wok-hei-ness added with a savoury kick. The creamy durian was infused within the Kung Pao sauces, mixed with tender and chewy meat that would go really well with a bowl of fragrant white rice. 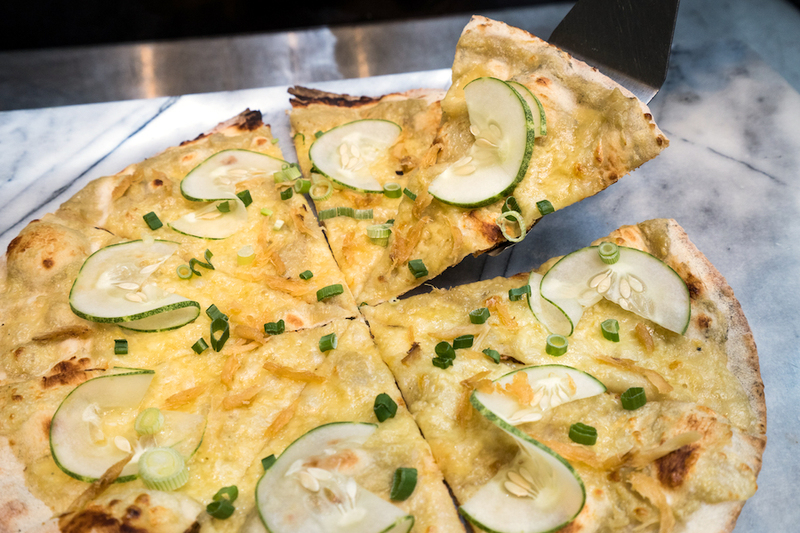 The thin crust pizza is baked with durian toppings, sprinkled with ‘Asian’ ingredients such as spring onion and shallots. The fried shallots and spring onions included an interesting twist to the otherwise sweet combination of Durian Pizza, with a tinge of savouriness and crunch. The slice of cucumber though seemed out of place, but it definitely relieved some of the “jelak-ness” (richness) of a durian pizza. A meat pie topped with a layer of mashed potato and durian, then baked in an oven complete with oozy fillings. 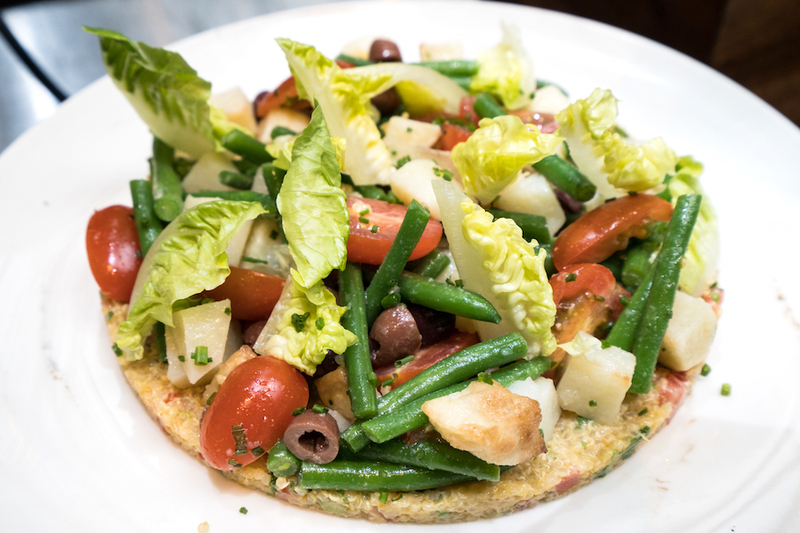 A vegetarian and lighter option with lettuce, tomatoes, olives, long beans and spring onions with a tinge of citrus-ness. The durian flavour is subtle on this one. Packed with diced chicken for the additional protein, this is a lighter alternative for those who wish to save some stomach space for the whole durians at the pop-up durian stall. 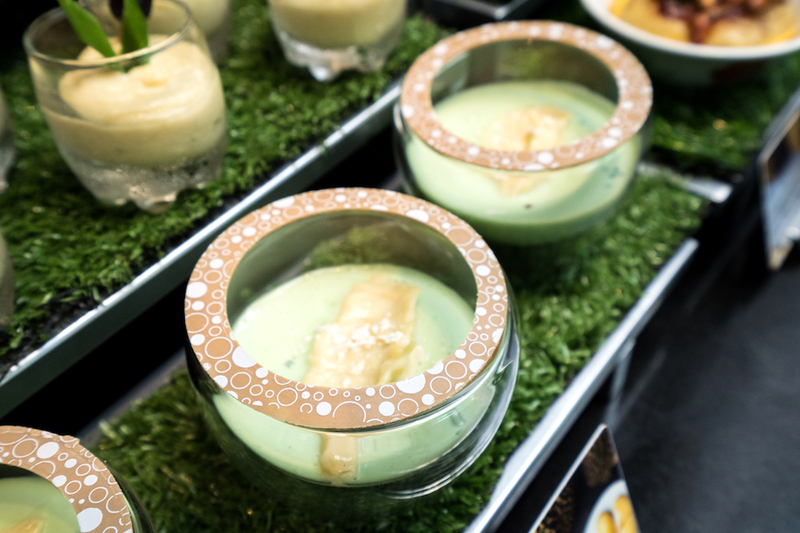 Encased within the cute little glass bottles are avocado puree with durian pulp and sago, remind me of Hong Kong’s signature mango pomelo dessert. 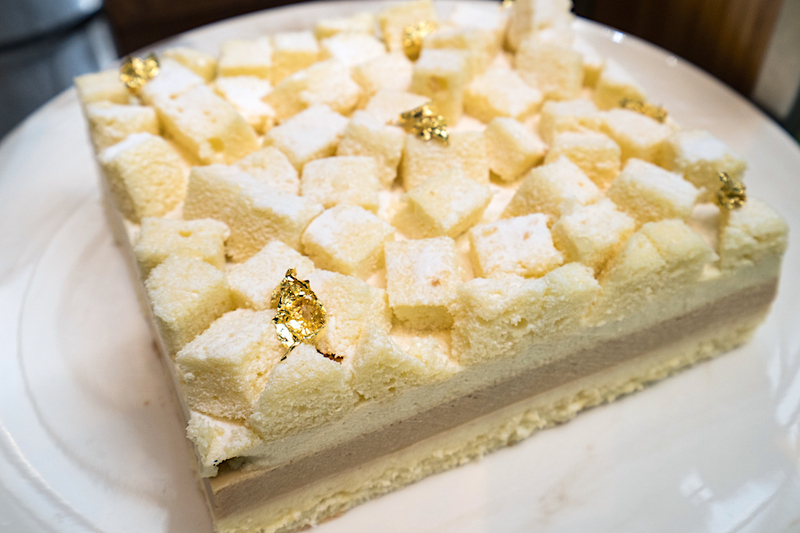 Soft, pillowy and fluffy cake with layers of local flavours such as durian mousse and gula melaka cream. The dessert closest to the real fruit, oh that smooth and creamy texture. If you are a legit durian fanatic, you are in for a treat at the traditional pop-up stall happening between 7pm and 9pm. 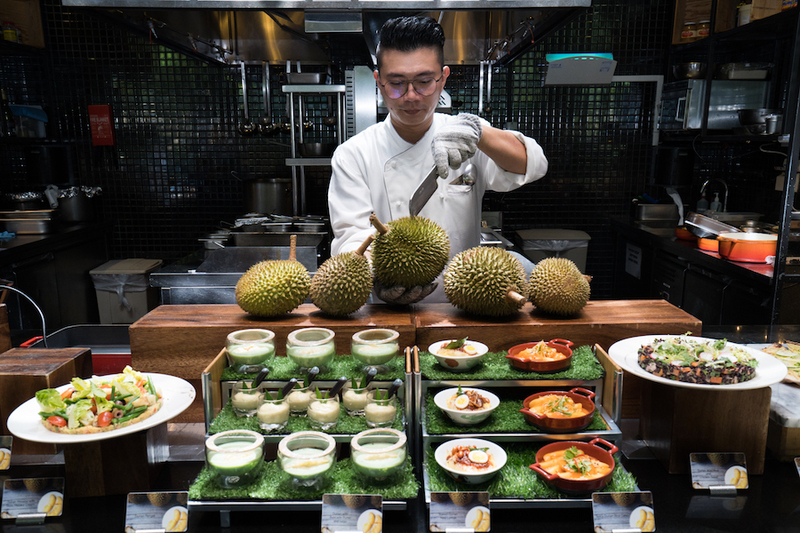 Select from a variety of durian species on display as the culinary team opens the whole fruit before your very eyes and fill up the space with the aromatic durian fragrance that true durian lovers will appreciate. 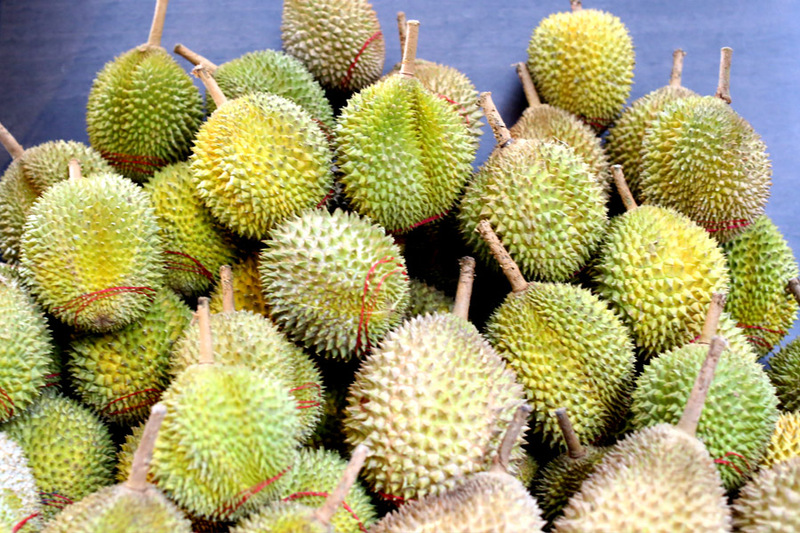 Durian varieties include Mao Shan Wang, Red Prawn, Red Lobster, and Xiao Yen Zi – all served at the outdoor durian stall while stocks last. 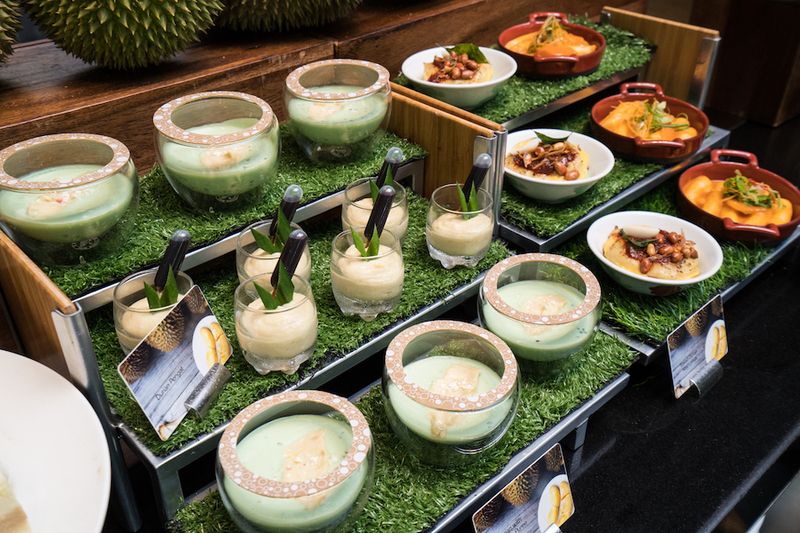 The pop-up Durian stall is located just OUTSIDE the restaurant, so that diners can enjoy the various durian species on display, without worrying about the smell reaching inside. 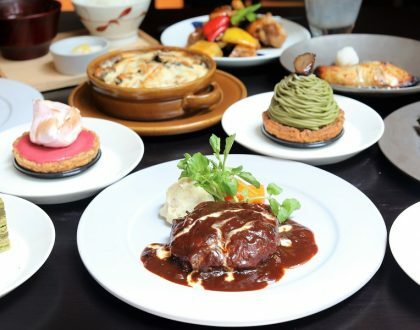 Enjoy 10% savings on the total bill when you dine in a group of four or more (Valid from Monday to Thursday). In addition, diners who pay with Mileslife will earn 50% more miles on every transaction on top of 2mpd. New users will earn an additional 1500 miles.